Huntsville is the city for the space cadet inside of you who never grew up. The Rocket City is famed for being the home of the U.S. Space and Rocket Center. But this is far from all the city has to offer. With street food gatherings, a youthful atmosphere and beautiful college campuses, Huntsville is the perfect destination for a young vacationer. So, if you want a quiet Alabama break, Huntsville could be the city for you. After all, it is home to lots of beautiful parks, gardens, and museums, which are fascinating for visitors of all ages. If you want to be in the action of the Rocket City, Downtown Huntsville is the place to stay. Not only is this where you will find the famous U.S. Space and Rocket Center, but it is where a lot of the city’s best bars, the Huntsville Botanical Garden, and the Huntsville Museum of Art are located. A great location for youthful visitors to Huntsville is North Huntsville, where Oakwood University is located. This makes it a popular hangout with students, and many cafes and bars call this area home. The areas around Huntsville are perhaps its most scenic, and if you are after more of a nature vacation, staying in one of these places may appeal. You could opt to stay in a hotel in the Monte Sano State Park, near Austin Ville and Point Mallard Park, or in the neighboring area of Madison, which is where the beautiful Palmer Park is based. If you are wanting a vacation with a difference, check out the New Hope area. Here, you can participate in the Harmony Park Safari. This is a great option should you be visiting Huntsville with kids. 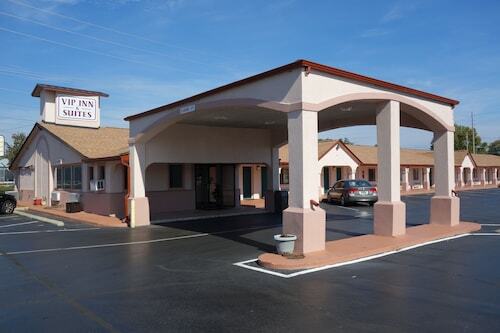 Huntsville only has one 4 star hotel, but quality certainly trumps quantity with this luxurious accommodation. The deluxe hotel has a relaxed atmosphere, exceptionally clean rooms and is in a fabulous location, with lots of restaurants nearby. If you are on a budget, opt for one of the 22 3 star hotels in Huntsville. They range from city center chains to beautiful hotels with fancy spas and gorgeous grounds. There is lots of options at a range of prices, starting from . Huntsville’s 73 business hotels are spread out all over the city. If you are working in the city, there will definitely be one to suit your needs in the area you desire. A selection of hotels even have their own conference facilities. In case you are travelling with a pet in tow, Huntsville has 43 pet-friendly hotels, which are perfect for your four-legged friend. Whichever neighborhood you choose to stay in, there should be a great pet-friendly hotel in the area to please you are your four-legged friend. Huntsville’s closest airport is Huntsville International Airport, which flies to various cities including Atlanta, Detroit, Charlotte, and Dallas/ Fort Worth. It is located ten miles southeast of downtown Huntsville and there are plenty of hotels near Huntsville Airport to stay at before or after your flight. Another option is Northwest Alabama Regional Airport, which is located approximately 68 miles from downtown Huntsville. It services Atlanta and Nashville and there are fantastic hotel options nearby to stay in. 19 hours ago by A verified traveler from Daphne,Al.